The Big Talker Visits Douglass for School Choice Week! You are here: Home » Blog » The Big Talker Visits Douglass for School Choice Week! 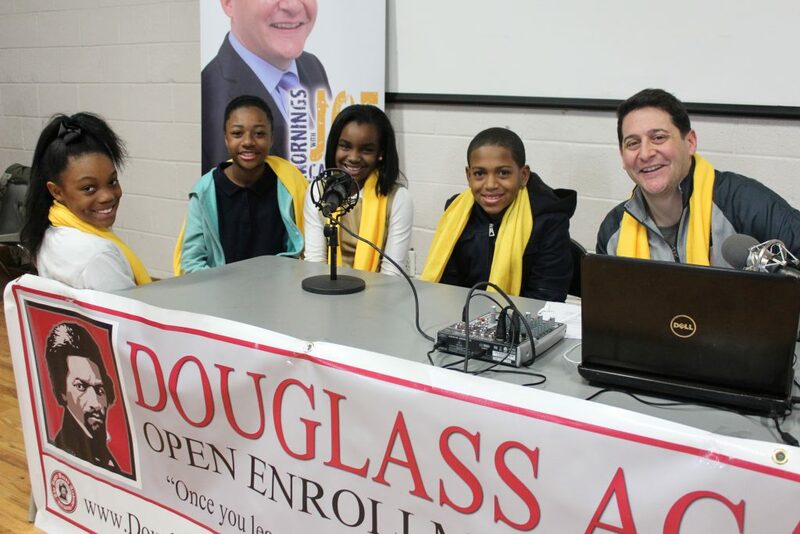 January 25, 2018Blog, UncategorizedComments Off on The Big Talker Visits Douglass for School Choice Week! The Big Talker 106.7 broadcast live from Douglass Academy in honor of National School Choice Week. We had many great guests including parents and 4 amazing 5th Graders – Dynzcil Rhodes-Davis, Ny’Drebya Johnson, Thailan Lee and Taneya Harrison! Stars in the making! It’s important to recognize, celebrate and defend the freedom that allows communities like Douglass Academy to flourish!